Median household income is a calculation of the middle income of households within a particular area or geography to avoid a small amount of high income or low income households influencing the average. This indicator is useful in measuring an area’s standard of living. 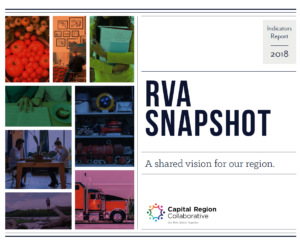 In the Richmond Region, median household income has increased from $60,936 to $61,124 since 2014.